ThinkFun has done it again! We LOVE music in our family. In fact, I sing in the shower and play a fabulous air guitar. I don't like to toot my own horn so I'll stop right there. My eldest child, however, plays 3 actual instruments, so he's a little more educated than I. 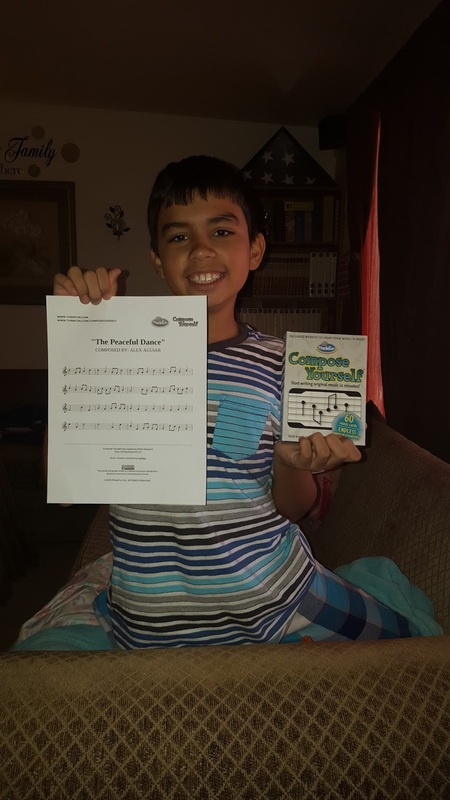 We were excited to have a chance to play Compose Yourself. I can now create beautiful music without even trying too hard. My son will print what he has composed and play it on the piano....I'm not there yet. This game was created by world-famous composer and cellist, Maestro Philip Sheppard. We are so thankful for such a fun game with endless creativity for the kiddos. This kid has composed a few different songs and titled them already. The one he's holding he calls "The Peaceful Dance." 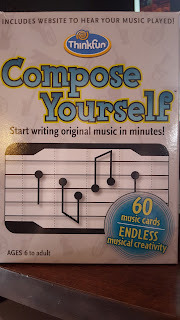 I'm an instant fan when my kids ask to play Compose Yourself instead of their Wii games! You can get your own game on Amazon for a great price! 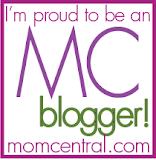 I highly encourage you to go check it out! Thank you to the wonderful folks at ThinkFun for allowing us to review this game. The above is our honest opinion of this product.